A native of Tacoma, Washington, C. Mark Smith spent forty years managing economic development organizations at the local, state, and federal level. He is a Fellow Member and Honorary Life Member of the International Economic Development Council and received a Lifetime Achievement Award from Washington Governor Gary Locke in 2004. Smith retired in 2005 and began a new career as the author of a series of books that combine history, biography, and politics in 2008. 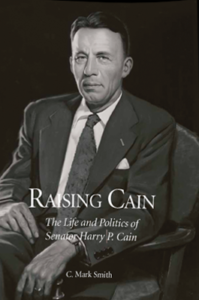 His first book, Raising Cain: The life and politics of Senator Harry P. Cain, was published in 2011. It is a biography of one of Washington State’s least known and most controversial U. S. Senators. It was Cain who exposed the excesses of the Eisenhower Administration’s loyalty-security program as an administration appointee during the McCarthy era. His second book, Community Godfather: How Sam Volpentest shaped the history of Hanford and the Tri Cities, was published in 2013 and chronicles the amazing story of Sam Volpentest, one pint-sized giant of a man who combined his strong determination and powerful political connections to save the Tri-Cities from drying up and blowing away after the government decided to stop producing plutonium at Hanford. 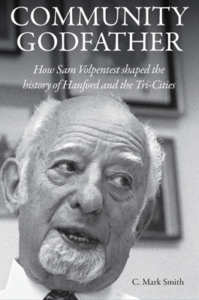 The book is as much a history of Hanford and the Tri-Cities as it is a biography of Volpentest. In 2014, Smith was asked by the American Queen Steamboat Company, which operates the American Empress cruise ship on the Columbia River, to write a short history of the Lewis and Clark Expedition that their passengers could reference as they cruise the Snake and Columbia rivers. 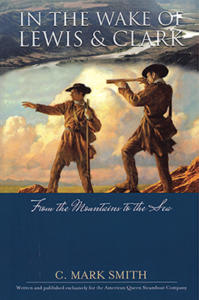 In the Wake of Lewis and Clark: From the Mountains to the Sea, was published in 2015. 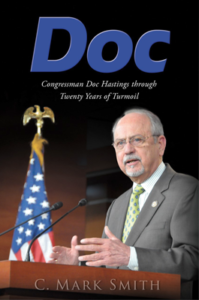 Doc: Congressman Doc Hastings through Twenty Years of Turmoil, was published in 2018. Hasting’s twenty-year congressional career coincided with a dramatic growth of partisanship in Congress and the nation. His service is highlighted against a backdrop of major events that occurred while he was in congress and provides both a history of Hasting’s congressional district and a primer that allows readers to better understand today’s partisan divide. 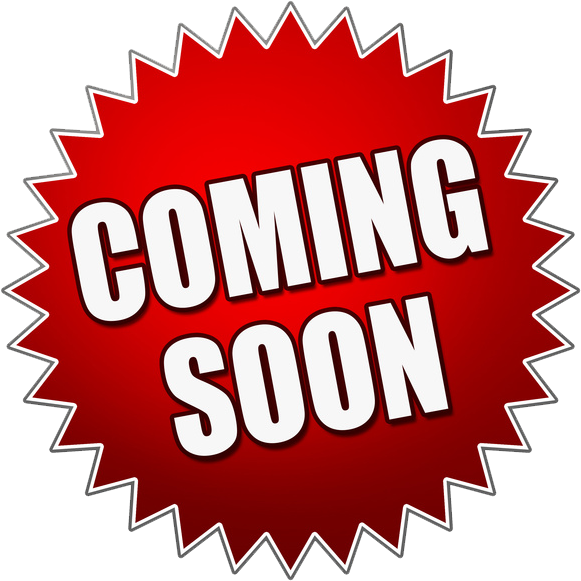 Smith’s latest book, Something Extraordinary: A short history of the Manhattan Project, Hanford, and the B Reactor, written with Robert L. Ferguson, is written in cooperation with the Hanford History Project at WSU Tri-Cities and the B Reactor Museum Association. Written for the non-technical reader who seeks a general understanding of these issues, it covers the history of atomic science, the successful U.S. effort to produce an atomic bomb during World War II, the history—down to the present day—of the Hanford Site, including efforts to clean up millions of gallons of nuclear waste stored there, and the history of B Reactor, the world first full-scale nuclear reactor. 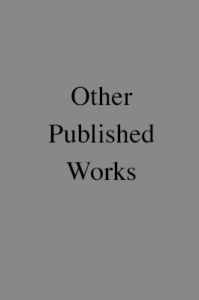 Estimated publication date: Mid-summer, 2019. 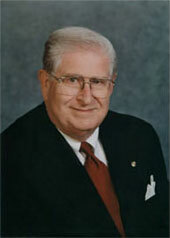 Smith has also published several magazine articles on Cain and Volpentest, as well as Dr. Lyle Shelmidine, another mentor of Smith’s at the University of Puget Sound who was an early expert on the Middle East who had served with the Office of Naval Intelligence in Turkey during World War Two. In 2011 Smith received the John M. McClelland, Jr. Award from the Washington State Historical Society for the best article to appear in their journal, Columbia, during 2010. In 2015, he was awarded the Murray Morgan Award for Preserving and Communicating Local History from the Tacoma Historical Society. He is a graduate of the University of Puget Sound and served eight years on the Board of Trustees, and receiving their Lifetime Achievement Award in 2011. He is an active Tri-Citian, volunteering his time and services to several local community and economic development organizations. He lives with his wife Elsa, in Richland, Washington.